Having a Missions Event Invite Us!! Wycliffe Benefit Banquet – An Evening in Ethiopia! Wycliffe Benefit Banquet: An Evening in Asia! 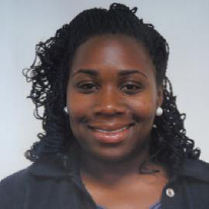 Sasharae , one of our most recent additions to the LDD team, is now working in a fulltime capacity. She brings many talents to the table, including drama and dub poetry. Sasharae has a degree in Language Communication and Society (UWI) and spent (nine) 9 weeks at the University of North Dakota, June- August 2013, where she was trained in Community Literacy. This Mega-literacy course has prepared her well to take on her new role in the Language Development Division (LDD). She is also an active youth leader in her church. © 2015 Wycliffe Caribbean. All rights reserved.